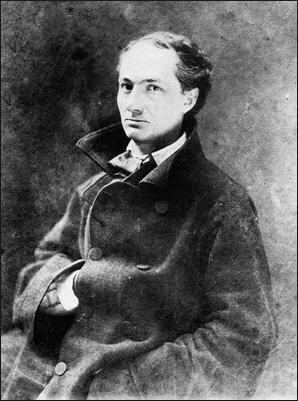 It is my opinion that Charles Baudelaire may have been one of the most twisted poetical geniuses ever. The Flowers of Evil is an amazing collection of disturbing poetry. In fact, at one point, I had considered learning French just so that I could read Baudelaire’s works in the original language. The poem then takes on a tone of sexual arousal. It is almost like there is a stirring of perverse lust directed toward the carcass. When people come to realize the darkness and decay within themselves, they are faced with a choice: they can either deny and repress that part of themselves or they can embrace it and look for a creative way to express it. Baudelaire chose the second option, and by shining a light upon the darkness within, created a body of poems that continues to inspire. That’s why I learned French! I love your interpretation, Jeff. Hi Kelsey. Thanks for your comment! When I first read Baudelaire in college, I considered learning French to read his works in the native language (I confess I never did). I had hoped to translate <>. I’m not satisfied with any of the translations. Glad to hear that you’re enjoying my blog. That makes me happy! And I can’t think of a better present for oneself than the Dali deck. I love it. When you translate his poems, I’d love to read them. Have a blessed solstice! Thank you for sharing your interpretation! You’re welcome! I hope it was helpful. That’s some really interesting poetry. I was wondering at the beginning if he went to the macabre as Poe did, but this is a whole other level! Hi Alex. Funny you should mention Poe. Baudelaire had translated Poe’s work into French. But yes, he is much darker than Poe, in my opinion.